Joachim “Jochen” Brauer , born 1929, started playing jazz in the late 40s in East-Germany, among them the band of Kurt Henkels. After relocating to Western-Germany in the mid 50s he recorded some cool jazz for Brunswick. Like Wolf Gabbe and many other German jazz musicians, he took to the pop market after it got more difficult to find work playing jazz in Germany. Bear Family Records has re-released his schlager/jazz material on the CD “Das Jochen Brauer Quartett – Great Music, Great Memories” (1957-1965). 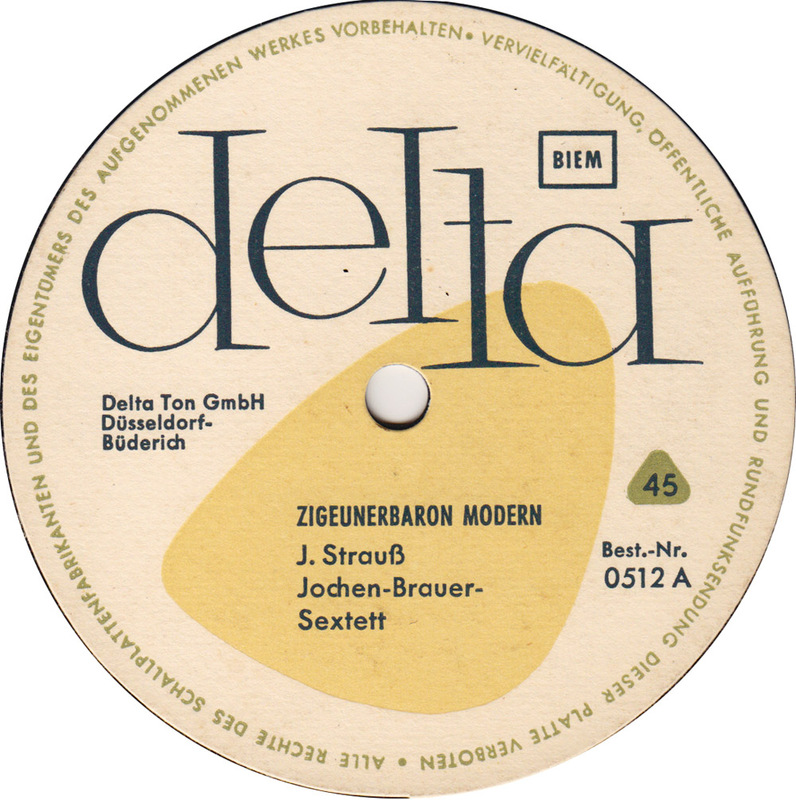 These two recordings made for the Delta-Ton label show Jochen Brauer´s early attempts at mixing jazz with pop.